I have been keen on drawing and painting since childhood, and later taught myself pyrography and polymer clay modelling. 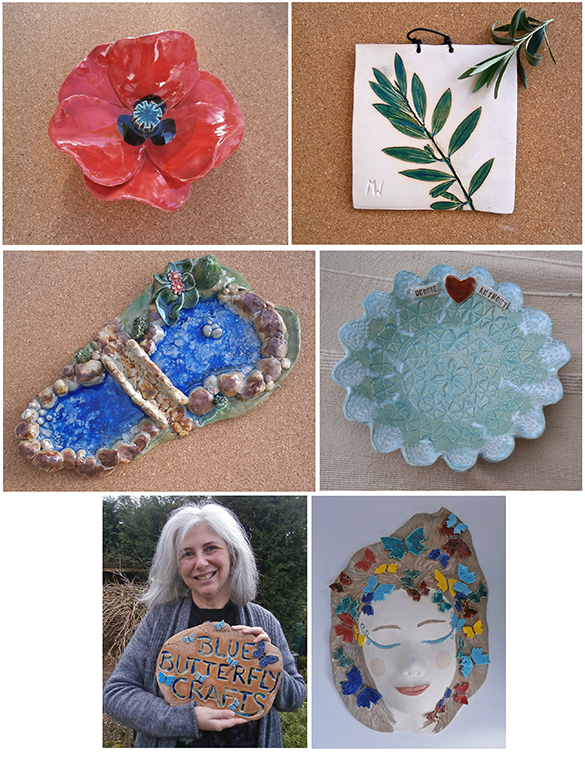 Inspired by a course in 2001, I became passionate about ceramics. I hand build my work, mostly using slabbing, modelling and pinching techniques. I love the versatility of clay, especially the potential to produce three-dimensional pieces, either functional or purely decorative. I am inspired by the beauty of the natural world. Flora and fauna are regular motifs in my – often rustic looking - work, and I regularly use leaves, bark, or shells to impress patterns. I also make to order personalised gifts for special occasions. I am a member of the Northern Potters Association and of The Haworth Artist Network. I sell my wares on Etsy as well as exhibitions and art & craft markets.